The polished aluminium domed shade is beautifully balanced by a heavy white Carrara marble base (please note: this fixture weighs over 65kg!). 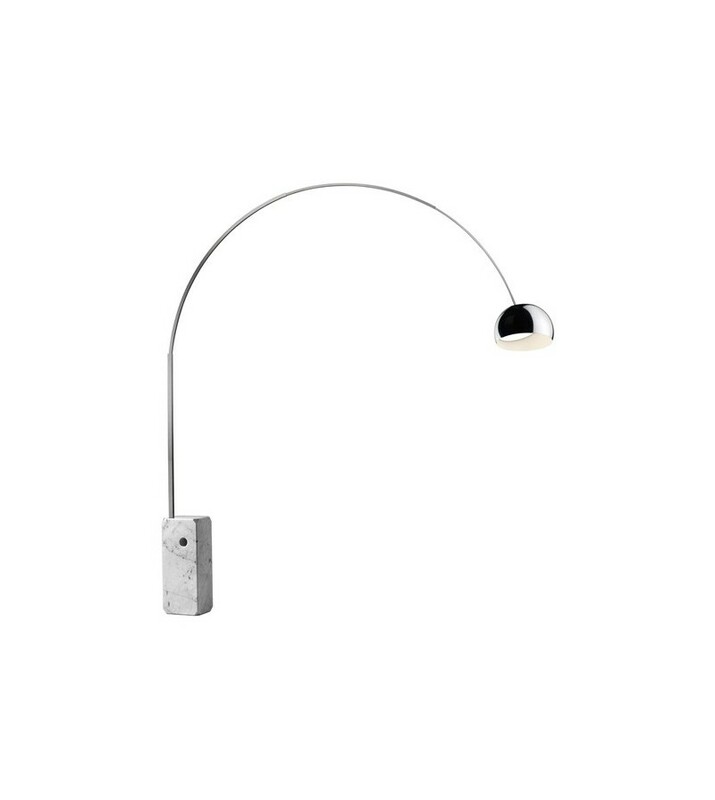 The Arco's telescopic stainless steel stem has a satin-finish adding to the high-quality appearance of the piece, it can be swivelled and the height adjusted so Arco can be altered to suit one's specific lighting needs. The switch is located on a power cord and is conveniently placed so that it can be activated by one's foot. 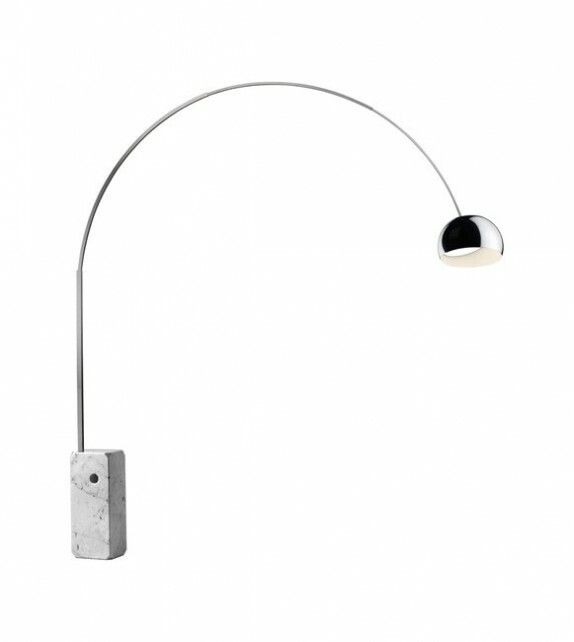 The Arco Floor Lamp is a stunning light that can be adapted into any living situation.